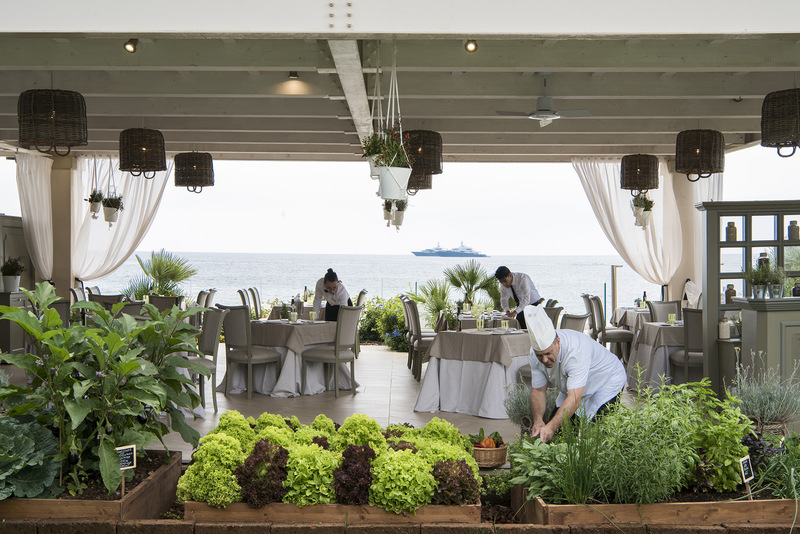 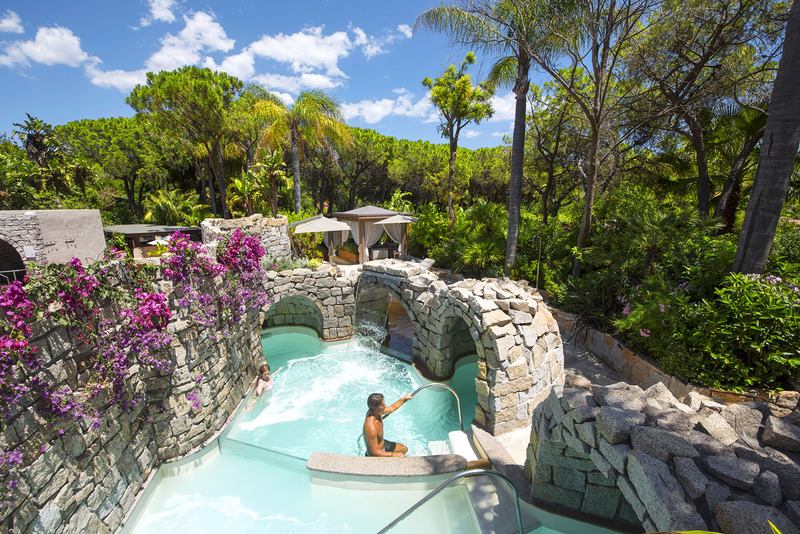 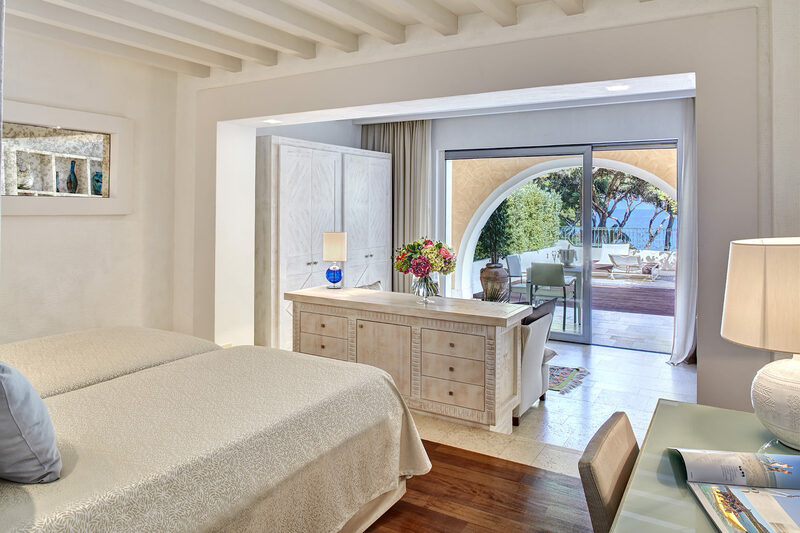 Nestled among 47 hectares of beautiful gardens along a white sand beach on the sunny south coast of Sardinia, the resort offers a choice of 5 five star hotels and 3 four star hotels plus 11 luxury villas. 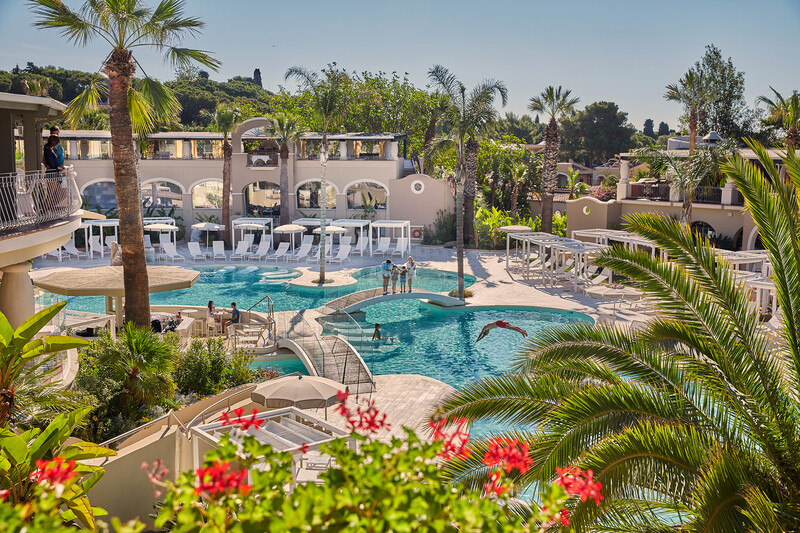 Guests have a choice of gourmet and buffet restaurants, up to 21 in high season, numerous swimming pools, infinite activities for couples and families and a charming piazza with fashion boutiques and evening entertainment under the stars. 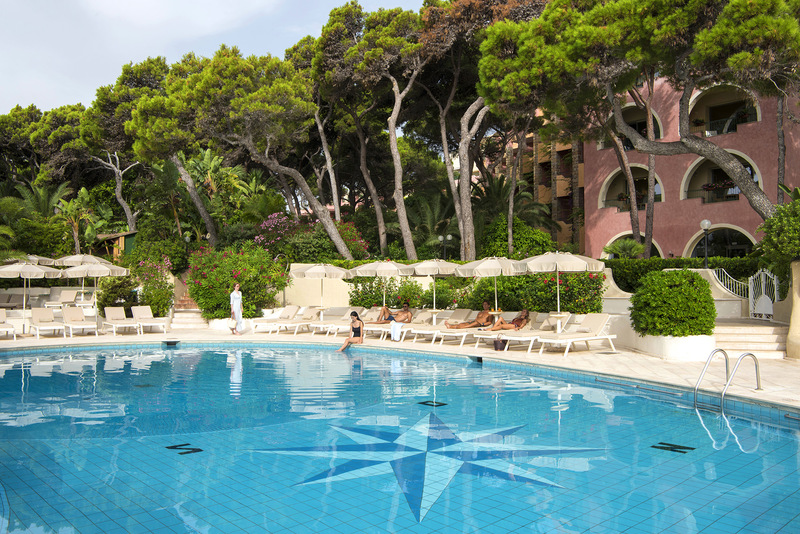 Those looking for relax can enjoy the unique treatments and pure luxury of the world class Acquaforte Thalasso & Spa.